Travel Model Improvement Program (TMIP) Program Support and Outreach | Resource Systems Group, Inc. The Travel Model Improvement Program (TMIP) is a program within the FHWA Office of Planning that conducts research, provides technical assistance, and delivers training to local, regional, and state transportation planning professionals. TMIP works to advance travel modeling capabilities and support transportation professionals as they respond to current and future challenges. 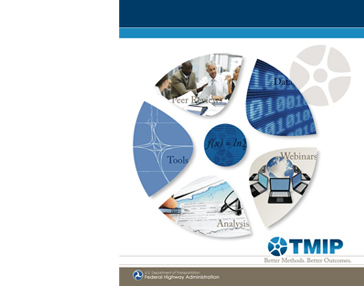 TMIP is guided by its mission to improve analysis practices and ensure that transportation professionals are well equipped to inform and support strategic transportation and performance based decision making.